This CD is a gem. Some very collectable items including 'The Spolier by Eddie Purrell' this has been a favorite dancer with me for many years. What a surprise to see such a stunning photo of him in the CD booklet, not much is known about him other than he was managed by Otis Reddings manager Phil Walden. From the Hollywood label Packy Axton (Mar-Keys) Double Up with a great back to back guitar and sax solo. Early Steve Cropper instrumental with the Cobras. Even Gospel from the Dixie Nightingales with the very soulful Assassination. Uptempo Spencer Wiggins on Soul City USA from Goldwax. 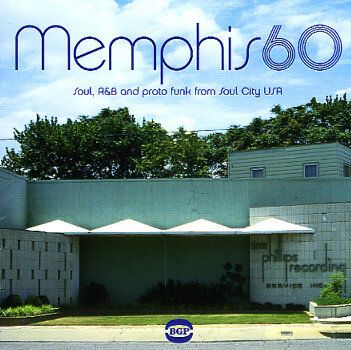 Plus four unissued fine recordings to sum up Memphis in the 1960's. Fascinating booklet by Dean Rudland. Issued on Ace BGP CDBGPD 201.